It is simply hot here. We go to swim in the morning and take a nap in the afternoon. What did people do when the AC systems were not available? 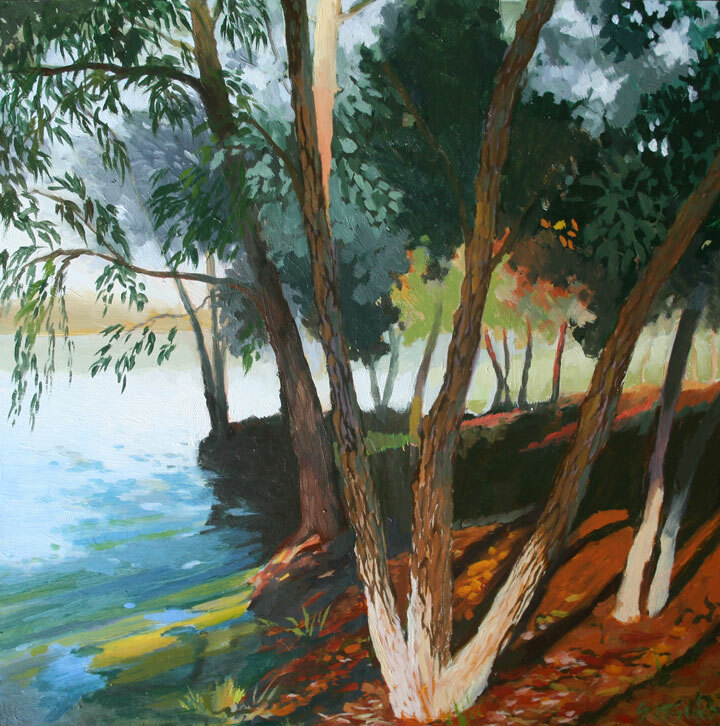 Hi Setsuko, I really like the contrast with the light and shadows – the water and trees composed of both. It’s more blended than the acrylic one you recently posted. It will be interesting to see the difference in painting that one in oil.